In days of yore, as some of you over the age of 50 may recall, Britons played a golf ball that was slightly smaller than the American ball. The smaller ball helped them cope better with the wind that is so omnipresent in the British Isles. Today, both countries’ governing bodies specify the use of the same sized ball. So even though I find myself on a British Isle now, there’s not a smaller-than-regulation ball to be had anywhere. Luckily for me, I have the next best thing. 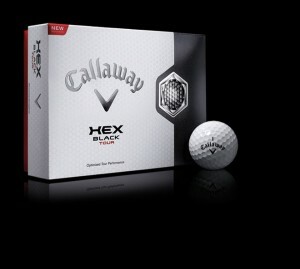 The Callaway HEX Black Tour. This ball, new for 2012, packs a lot of desirable features into its regulation size – among them an aerodynamic design that really does seem to help the ball hold its line better in the wind. I played 18 holes at Machrihanish Golf Club, 18 holes at Machrihanish Dunes, and nine holes on the Ailsa course at Turnberry before I finally lost one when I yanked a tee shot onto the rocky beach and couldn’t find it. We’ve played in some incredibly strong winds all during our Golf Road Warriors Scotland sojourn, and the HEX Black Tour did seem to be less affected by those winds than other balls I’ve played with over here. Their hexagonal dimples (which cover 100% of the ball’s outer surface) are designed to reduce drag and promote a stable, penetrating ball flight. What I have found is that slippery aerodynamics like these are highly useful on links golf courses. But that the HEX Black Tour has more going for it than just aerodynamics. It’s one of the new-concept balls that promise low spin off the tee (where you don’t want much, especially in a Scottish gale), and more spin where you do want it (such as on approach shots and around the greens). Here in Scotland, you have a play a much wider variety of shots than we do in the U.S., especially around the greens. You need a ball with good feel, and this one has it. Distance and control are what it’s designed to give, and it actually does. A number of things are responsible for this. The ball’s dual-core design is one. The inner core has soft compression characteristics, while the outer core has extremely high ones. According to Callaway, this dichotomy allows them to achieve the highest spin separation they’ve ever been able to engineer into a golf ball. The result: lower spin on tee shots, more spin on iron shots. Surrounding the dual core is a dual mantle. The soft inner mantle and harder outer mantle combine to provide protection for the dual core and to produce the highest possible ball speeds. 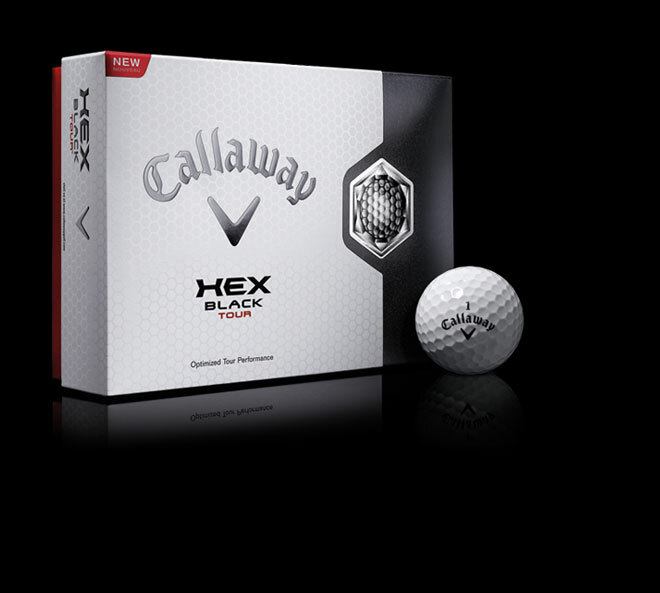 Wrap it all up in Callaway’s proprietary urethane cover and you get great durability, feel, and spin around the greens. Of course, you still have to hit the ball right. The HEX Black Tour can do a lot of things, but it can’t make you a pro golfer. Even the HEX couldn’t stop me from launching one deep into the rough at Machrihanish Dunes on Saturday, for example. But unlike with other balls, I actually went to look for that one – and found it. This ball is a keeper. Now that you found your ball, did you find Sandy MacSparten?